Q: Whats the difference in the CBS version? After four episodes, I'm ready to proclaim this the best show currently on TV, one that may someday rank with the likes of _The Sopranos_ and the first season of _Twin Peaks_ as a contender for the second best TV show ever (after the incomparable _Buffy the Vampire Slayer_; one of the show's producers and writers is former Buffy writer Drew Z. Greenberg, and the cast includes Buffy / Angel mainstay Julie Benz). 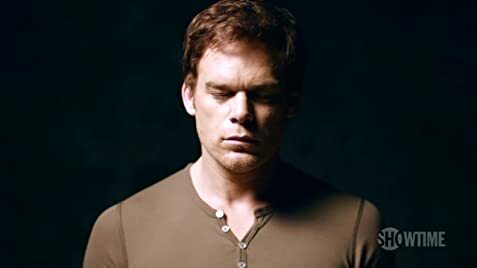 Dexter is a sociopath, someone with no human feelings and hence no natural, inner moral compass, and he has an unquenchable blood lust that drives him to kill. But he had the great grace to have been the adopted child of a police officer, who (as we see in terrific flashbacks) successfully instilled in him a complete moral code, which he adheres to on a strictly intellectual level. This is an utterly brilliant concept (which I assume derives from the novels it's based on), one that allows the writers to explore the nature of moral behavior and of what it means to be human (Dexter is, in a sense, an alien). Another thing the show is doing brilliantly is moving at different speeds in parallel. There is a primary apparent season-long story arc (concerning a cat-and-mouse game between Dexter and a serial killer), and a a secondary arc involving Dexter's sister's police career. 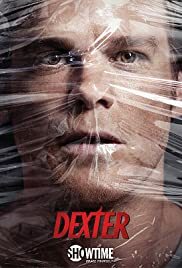 The first handful of episodes include a very powerful completed arc concerning one of Dexter's police colleagues and a local crime lord, while two of the four episodes so far have also included a self-contained story spliced among (and playing off) the ongoing ones. I've seen the future of TV season structuring, and this is it. While the writing isn't quite up to the brilliance of the best of _House_, it's been excellent. The cast and production are terrific. The only reason you wouldn't want to watch this utterly brilliant show is the frequent use of extremely graphic images: there have probably been more severed body parts shown in these first four episodes than in the first four episodes of every other TV show on the air combined. If you can stomach that, tune it for a mesmerizing look at what makes us human -- or inhuman. 425 of 544 people found this review helpful. Was this review helpful to you?